There are two storylines intersecting here, one of which has Batman taking a birthday vacation with Batgirl and Nightwing. Can you imagine Batman taking a birthday vacation? Would there be cake and ice cream? The reluctant Batman finally agrees to take his relaxation and leaves Superman in charge of Gotham. 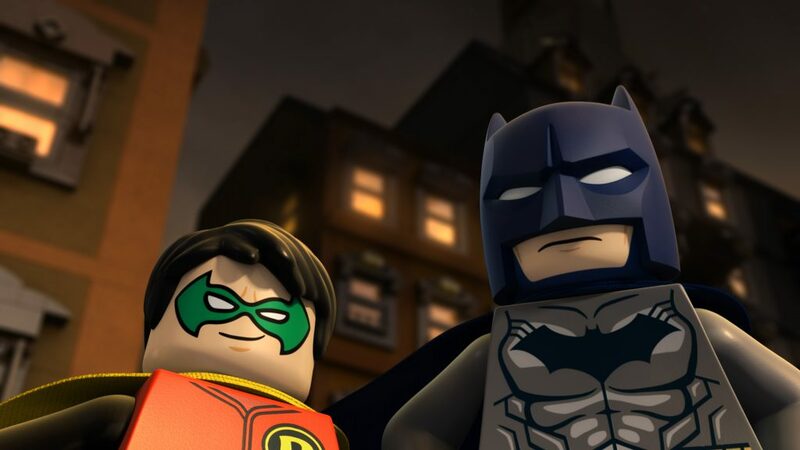 In this LEGO universe, Superman isn’t the sharpest tool in the shed and even when Batman warns him of the dangers before he goes, Superman is scammed by The Joker and all inmates including The Joker are freed from Arkham Asylum. Cyborg, Wonder Woman, and a very young Robin try to help out Gotham. On the other side of the story, Batgirl and Nightwing are trying to make a reunion for Batman and Madame Mantis, but are conned into a trap by Deathstroke and Bane. So much for the cake and ice cream birthday vacation. There are a ton of action beats and even some ninja martial arts moments throughout. The storyline is silly and most of the dialogue is entertaining if not even more silly, but it all works out well. Adults and kids alike should enjoy the movie and characters with Batman being the funnier things in the film, due to his straight-laced nature in a sea of ridiculousness. ‘Gotham City Breakout’ comes with a 1080p HD transfer and is presented in 1.78:1 aspect ratio. The detail in the animation is quite fantastic. Th textures on the characters look pristine and straight off the shelf. The animation is fluid and smooth. Colors pop right off screen as well at all time with great primaries boasting bright. black levels are deep and inky too. There was some minor banding here and there, but it’s nothing to right home about. This release comes with an energetic DTS-HD MA 5.1 mix that should satisfy the young kids. There are tons of action beats that pack explosions, cracks, pops, hits, and kicks a plenty. It’s loud, fun, and over-the-top. Just don’t expect anything to be layered, in that each sound is just turned up full, no matter if it’s the dialogue, music, or sound effects. The dialogue is always clear and easy to follow and the sound effects are enjoyable if not a bit silly. Trailer (HD, 2 Mins.) – Not even a trailer for the film, but rather a trailer for the next LEGO film, which involves Scooby-Doo! 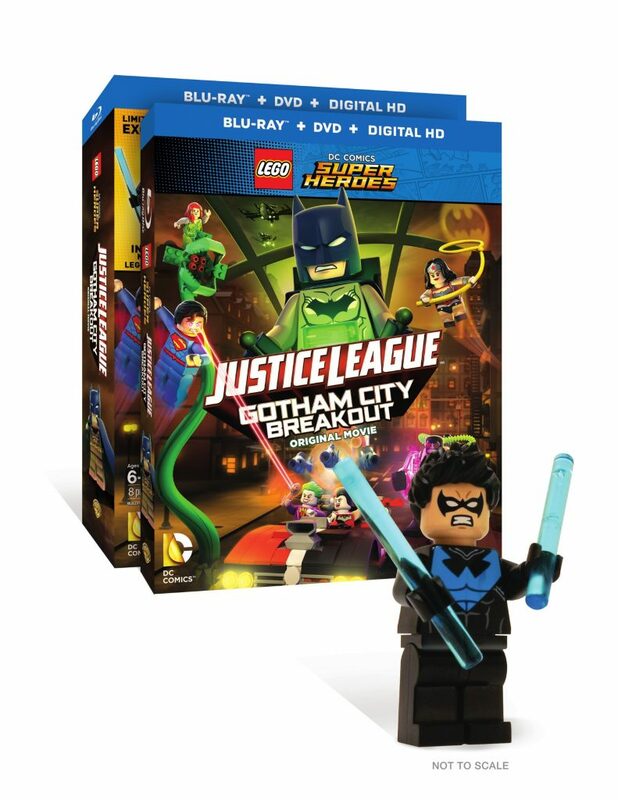 LEGO Man – The LEGO Nightwing character is included in LEGO form. 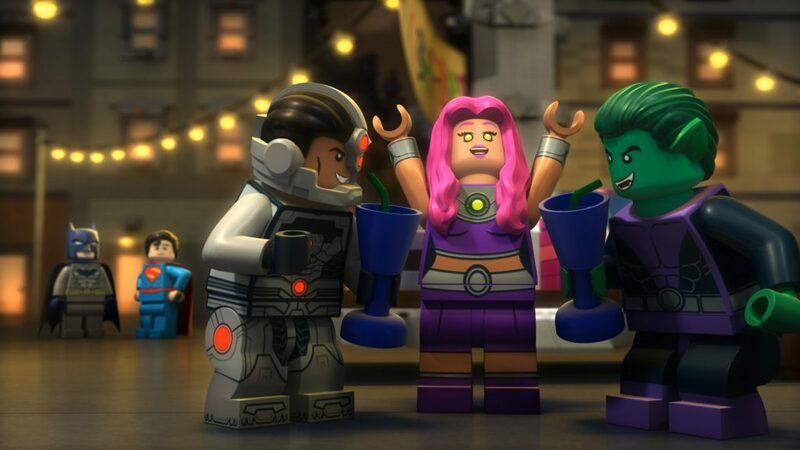 Most of these direct-to-video LEGO movies are for the younger audience, however this one in particular should satisfy the adults as well, due to the fun and strong voice talent and the numerous villains and heroes on screen. It’s solid illy fun in the DC universe, which is something we don’t see to often. Video and audio presentations are quite good, and the only extra is a trailer for another film, but you do get a LEGO man out of it. Recommended! This entry was posted on Tuesday, July 12th, 2016 at 1:01 pm	and is filed under Film, News. You can follow any responses to this entry through the RSS 2.0 feed. You can skip to the end and leave a response. Pinging is currently not allowed. « Javier Bardem In Talks To Play Frankenstein For Universal’s Monster World!! !